At Mediavine, we are one big family. We work with content creators from all niches, and we love catching up with them to learn what is working for them, to hear their blogging stories and, in general, to get to know them even better! To name a few, we’ve talked with food bloggers like Mel Gunnell of Mel’s Kitchen Cafe and Nicole Hunn of Gluten Free on a Shoestring, travel publishers like Laurence Norah of Finding The Universe, craft bloggers like Becky Jorgensen of Patchwork Posse and financial publishers like Kelan Kline of The Savvy Couple. That’s just the tip of the iceberg and, with more than 3,700 publishers now, we have lots more of these interviews planned! 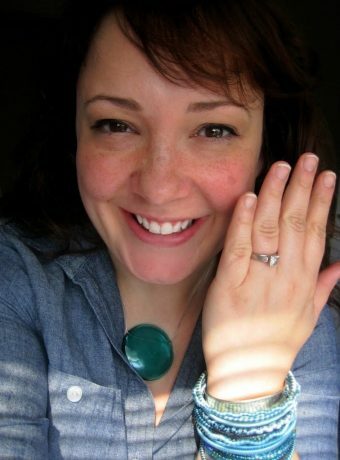 Today we’re thrilled to have Alison Gary of Wardrobe Oxygen here for a publisher interview! 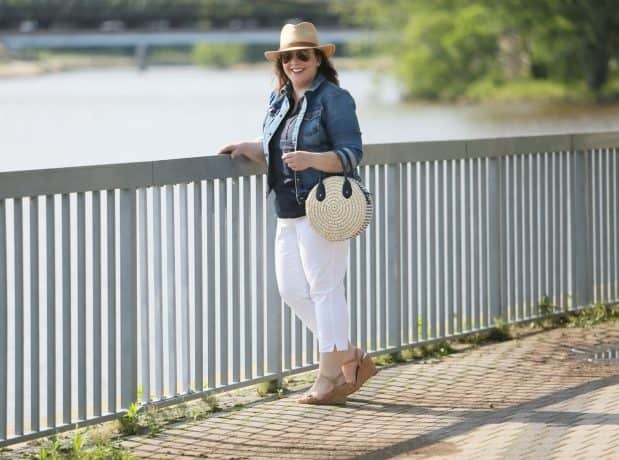 She’s a fashion blogger with visual merchandising and personal shopping experience, and focuses her site on helping women of all ages, sizes and budgets find their personal styles and put more flair into their wardrobes. She’s talking to us today about the evolution of blogging, facing the competition and going full-time with her business. We’re so glad you’re here with us, Alison! Tell us a little bit about yourself, your family, and your everyday life. 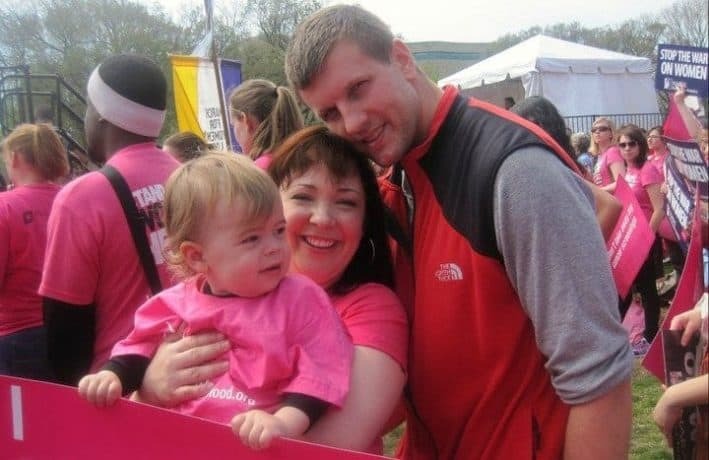 I live with my husband and our daughter in one of the suburbs of Washington DC; I’ve lived in the DC area all my life and love it. It’s a small town where we can walk almost everywhere but are just a couple Metro stops from the heart of our nation’s capital. I quit my day job November 2017 to focus on my blog but it also helps me focus on my family and self. I’m able to take my daughter to school every day, provide an income to my family from my home office, and be there to help her with homework in the evening. Wardrobe Oxygen is described as a fashion blog, but it’s a bit of lifestyle too. I offer fashion advice, share my style through outfit posts, write a lot about beauty and skincare, travel, concerts, and the occasional air fryer or home tour. My goal is for my blog to not be aspirational, but relatable. I want to help my fellow women find style in the everyday and have fun with fashion no matter their age, size, budget, or lifestyle. I was hired for a certain contract at a new job and was brought on to the company a couple weeks before the contract started. I was told to “look busy” until the contract began. It was 2005, I learned about blogs on a news show and thought it was the perfect way to look busy and I’ve been hooked ever since! I started as a personal blog, but switched to fashion advice with a second blog focusing on what I wore. In 2010 I merged the two into what is Wardrobe Oxygen today. How long have you been a Mediavine publisher? What was it that drew you to us as a partner for your display advertising? I had removed all ads from my site because they were ugly, took up so much real estate, and didn’t bring in enough income to justify them. I don’t recall where I found out about Mediavine, likely on a blog I enjoyed. Did some research, signed up, and my only regret is that I didn’t start sooner! How has that evolved over time? I love how I can adjust the frequency of ads on my site, the Facebook group is one of the most informative and friendly ones I have ever joined, and the response time and customer care is phenomenal. I can’t rave enough about Mediavine! How do you think blogging has changed since you started? Well, I’ve upgraded from mirror selfies with a powder blue Canon Powershot to scheduled photo shoots with a professional photographer (my husband)! It’s been exciting to grow with blogging, when I started it was for fun. I had no catchy name, no custom URL, and found followers through the taskbar at the top of Blogger blogs that would have you land on random sites from all over the world. The blogosphere has exploded and to remain relevant and be found in the sea of bloggers you have to keep raising the bar. Higher quality photos, engagement on multiple platforms, video, social, ways to extend your brand beyond your URL, pitching yourself to brands…blogging is no longer a platform for a shy person hiding behind a keyboard! What’s the best part of the blog world for you? The community. The friendships I’ve made across the globe with readers, bloggers, and even the people behind the brands I’ve partnered with. What’s the worst part of blogging for you? The competition. While I’ve made some amazing friendships through blogging, I have also experienced backstabbing, cattiness, lying, cheating, and more. It’s easy to get sucked into it, to start comparing. It’s important to remember even if you’re in a specific niche, your blog is unique from any other, with a unique audience, and unique purpose. Who are your FAVORITE bloggers. Who inspires you? Why do you like them? Grace at The Stripe is a fave. We’re different people with different lives, but I admire how she has built a successful blog and community while remaining honest and down-to-earth. Beth from Style at a Certain Age is a friend and someone I look up to in blogging. She is professional, consistent, and has built a very loyal and authentic following. Courtney from Kerrently started as a hate read but became one of my favorite bloggers. She has a clear aesthetic while remaining brutally real and honest, is hysterically funny, and shows you can be extremely successful without selling your soul. What are your top 3 posts on your blog? 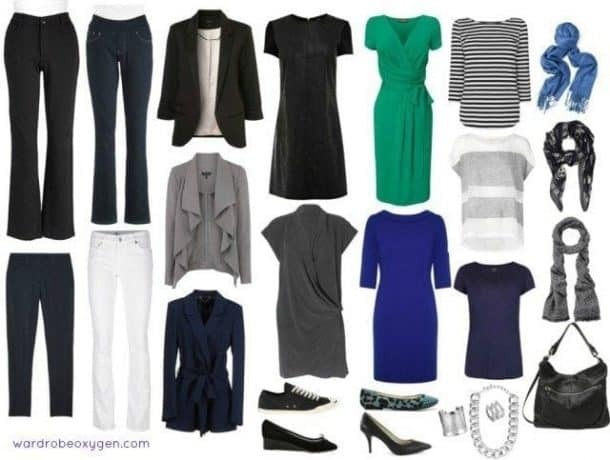 I’ve been creating capsule wardrobes for many years and Capsule Wardrobe: No Fashion Victim, No Frump For Women Over 40 continues to be my most popular post on the blog. My best product reviews are ones where my readers ask me to try out a product they’ve been curious about. One of my readers asked about this brand of shoes she kept seeing advertised on Facebook and Pinterest. 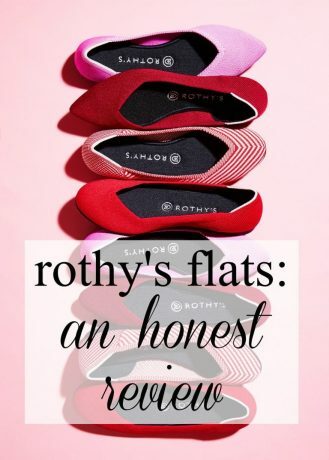 I bought a pair, gave them a beating, and Rothys Flats Review is one of my most successful posts of all time and it’s not even a year old! I’ve always written about fashion with a touch of feminism. 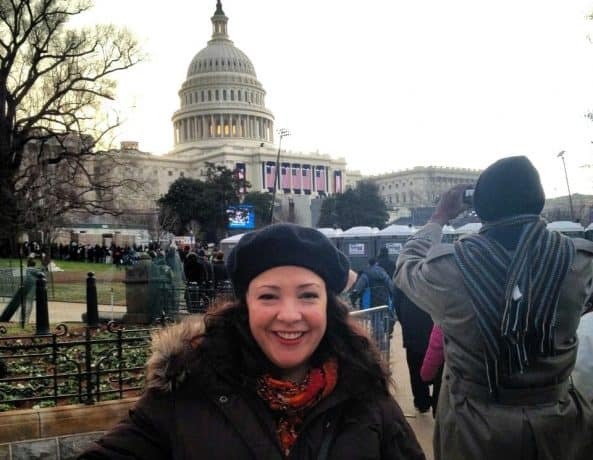 Being a DC local, having attended many protests in my life, it made sense to write What To Wear To A Protest March before the Women’s March in January 2017. 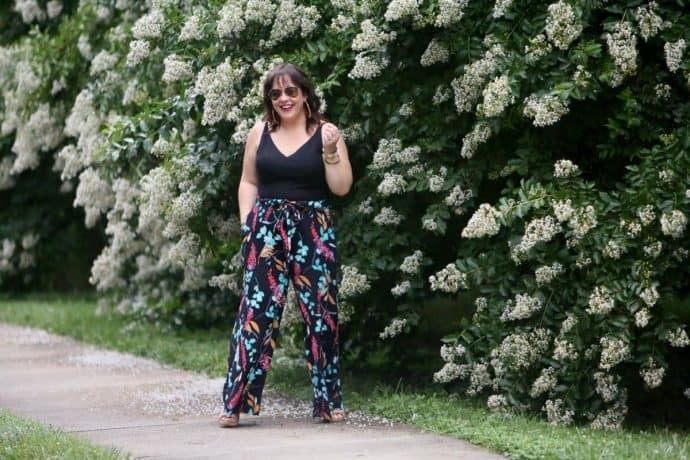 I’ve written similar posts for what to wear to concerts, road trips, business travel, and such and I never imagined how far it would reach and how much it would be shared. I’m awed and humbled by the success of this post and it inspired me to continue to speak my truth on the blog. What are your 3 FAVORITE posts on your blog? I wrote The Self Deprecating Comment back in 2009, inspired by a woman I was friends with who constantly criticized herself. I didn’t edit, I didn’t write for SEO, and it really hit a nerve with my readers and many others. One of the first blog posts that reached a wider audience, growing my numbers exponentially. Each time I get caught up in the blogging game I remember the success of this simple post. As a fashion blogger, body size, shape, and image are always part of the conversation. My size has fluctuated a lot in the 12+ years I’ve been blogging and I know my readers can relate. I decided to walk the talk and get my engagement ring resized and shared the story in With This Ring. I had strangers stop me at the farmers market and mall to thank me for this post. Things like that make me proud to be a blogger. I wrote Quitting Versus Giving Up when I shared with my readers that I was quitting my job to focus on the blog. Considering a good portion of my readership comes to Wardrobe Oxygen for work fashion advice, I was very nervous to share this news. I had many bloggers tell me to not admit I quit my job, but I have always been honest with my readers. I’m glad I told them, and when I’m doubting my choice I go back to this post and read the comments. What tools and resources do you use to manage your blog? As a fashion blog, chloédigital is my saving grace for handling WordPress issues and understanding the intricacies of our unique niche. What is your biggest traffic source? What strategies have you used to make that your top traffic source? I hired a VA to take over my Pinterest. I still pin new content, but she works on growing my audience and traffic. I also made a more concerted effort to make Pinnable images and update evergreen content with Pinterest-friendly graphics. Do you have any advice for bloggers on how to grow their traffic? While many bloggers recommend guest posting, SEO, and Pinterest to gain new followers, I’ve had the greatest success cultivating loyal relationships with my existing followers. They have been phenomenal in sharing my content for me, giving me honest feedback, suggestions for future content (some of their ideas have gone viral), and engaging on multiple platforms. Don’t forget those who helped you get to where you are now! Anything else you’d like to add to help other bloggers grow? Find your tribe, your crew, your mastermind group. A small group of folks you can trust, who will provide honest feedback, help amplify your content, and together you can help one another get to the next level. Huge Facebook groups are fine, but that small circle is what can keep you sane and keep you reaching your goals. What’s the one thing on any restaurant menu you MUST order? I love Wardrobe Oxygen and Alison is a fabulous person! This is a great interview and insight into her blog!! We think they’re both pretty fab too! Thank you for reading. Great interview. Alison Gary is on my “never miss a post” list … and that is a very short list. Thanks so much for reading, Susie!